Place ball in the carrier and pull back and forth in a "see-saw" motion. Hi. These are machine washable. Hello Sarge. This See-Saw is machine washable. We recommend cleaning it on delicate setting and hung to dry. 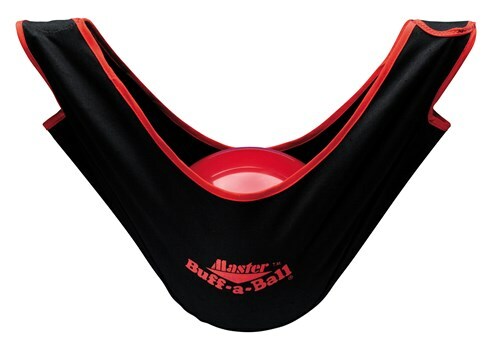 Due to the time it takes to produce the Master Buff-A-Ball Black ball it will ship in immediately. We cannot ship this ball outside the United States.